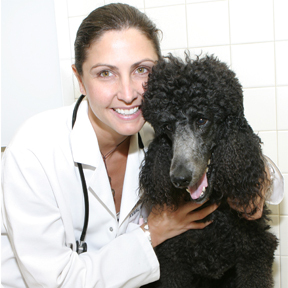 Deirdre Chiaramonte received her DVM from Tufts University School of Veterinary Medicine, Massachusetts in 1997 and completed an internship in small animal medicine and surgery at The Animal Medical Center from 1997-1998. She became a Diplomate of the American College of Veterinary Internal Medicine in 2004 after completing a small animal internal medicine residency at The Animal Medical Center. She was a staff Internist and the co-founder and Director of the Tina Santi Flaherty Rehabilitation and Fitness Unit for over 10 years.